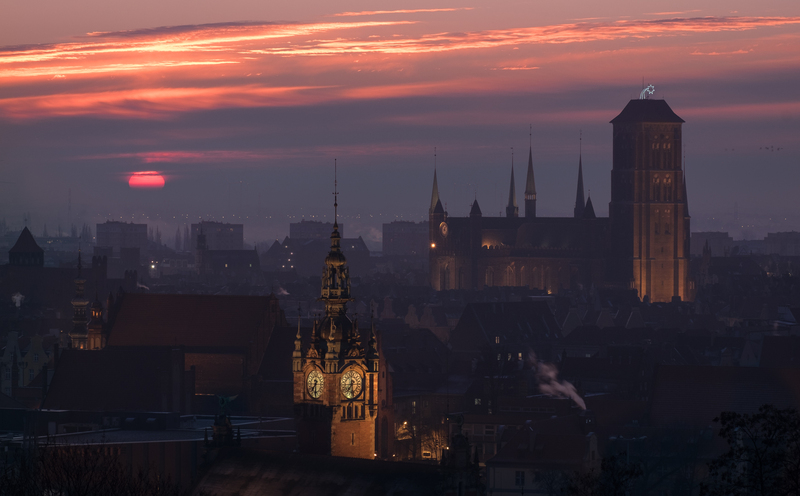 I recently discovered a new place in Gdansk – Góra Gradowa (Gradowa Hill) which has a fantastic view at the Old City of Gdansk. The picture above was take during my third visit there. The clouds on the horizon looked like they could make the sunrise completely invisible but there were a few cracks that only let the Sun through but also served as a natural ND filter to make it less bright I combined that with an exposure I took a little earlier when the buildings were still lit byt the lights (something I extremely like). I spent there about an hour. It was a winter morning… -13C.